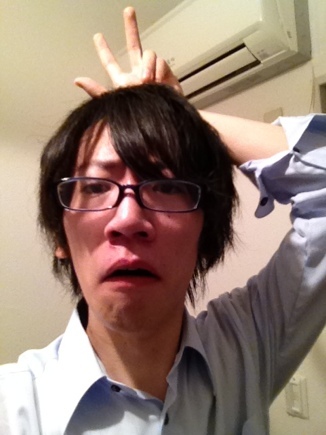 Previously,was in church of Osaka Takuya from us,funny faces has arrived! We are mountain ranges.Height is 165cm or more. Till yesterday miss I was also together and was four persons. 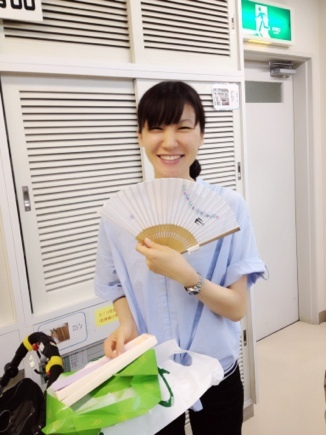 Since she went to Tokyo,she became three persons. We are lonely. 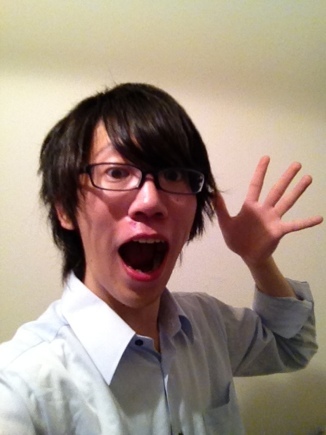 (TT)Since、、、it is 'mauntain rangr'of the fourth person under collection! 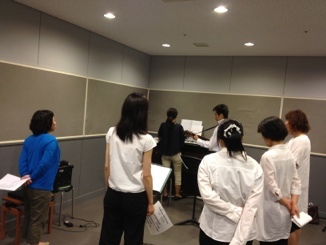 Today, we did recording a disc for the best of Yasuragi #11 at Kawanishi, Hyogo. It wasn't smooth from the beginning at all. But finally we've done every rec. safe and sound! 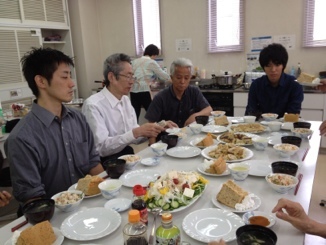 I went to the prayer meeting at Yoshida-san's home. 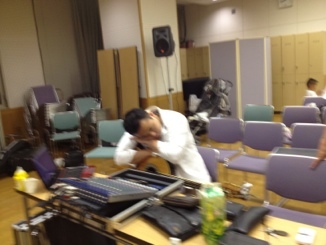 We prayed for praise band Splendor's recording. You might enjoy that one, probably. This is the last time I write this blog. 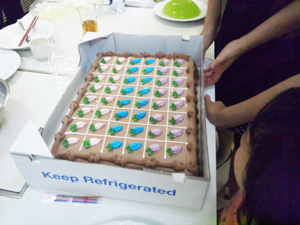 Today,co-workers whose are christians held the farewell party! 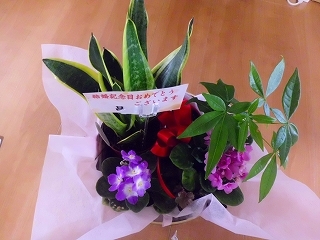 I received the bouquet as surprise gift!I was so moved!! with the bouquet,there's a card of Bible scripture. 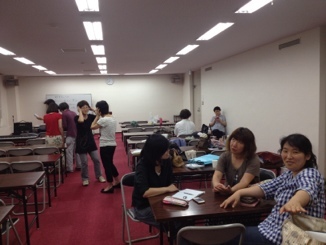 I truly appreciate God that I met with many people in Osaka, and gave much learning. 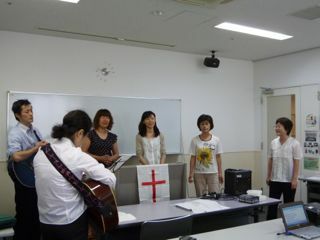 We practiced singing Gospel songs after lunch yesterday. We made nice noise to God, didn't it? 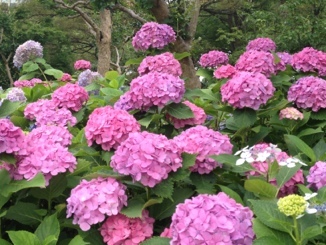 Today is the last Sunday of June. Sis. 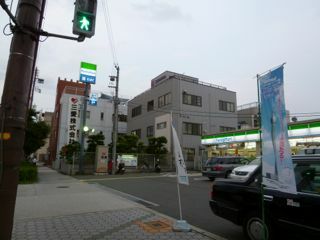 I was attended worship of Osaka Church will be the last today. She said "Was a dinner party for 3 consecutive weeks." Come to think of it, - that's right. 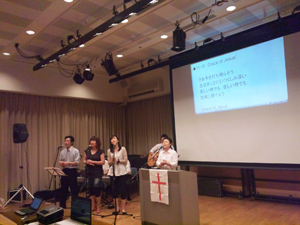 In the evening, each church gathered in the Kansai region, there was a Kansai joint charismatic meeting. 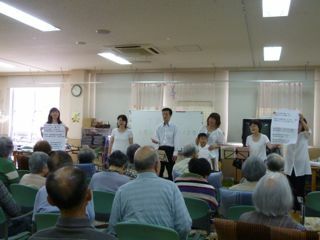 The Mount Zion Osaka church was the turn of service of the first praise. Praise, they have aligned very well, was good. 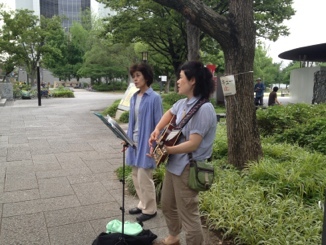 Today, In the Osaka Castle Park,the praise was on the road. 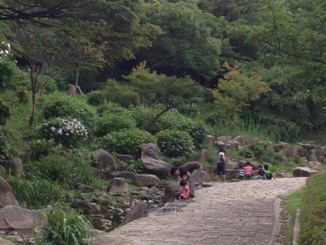 There were children in a nearby pond,have taken the crayfish. Several days before.It was a wedding anniversary of 11th anniversary. every year,there is a manager specializing in a fiscal.the person chooses and presents. A husband is a manager in the current fiscal year. Although there was no talk of flower arrangement from a husband,did the husband choose? I promised God by the church formula 11years ago. With the date book which holds a marriage ceremony,it chooses from three kinds of formulas mostly.It decides at the hope of the thing and parents who wear in many cases. I think that there are few people who understand who requires upon my honor.Is that think so only I? I was glad that I could promise God.And I wish to know God more now. Trend topics lately, sis. "I" will move to Tokyo in July. it's blessing for both of us!! 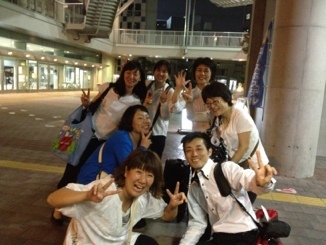 Kansai jointed charismatic meeting on sunday night may be the last meeting with her, is it!? 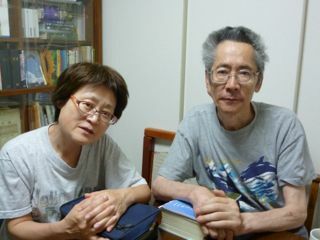 I visited Kihara-san's home for the prayer meeting. We prayed for some requests. 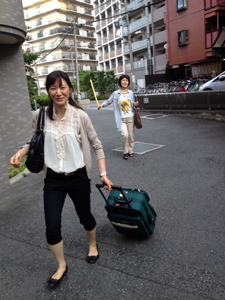 One of that it is for Ms.Imai Move toTokyo. Last sunday we prayed for her during the party. in spite of the matters,,,I had visiting-nuese job today. I give thanks for your protection,my Lord^^!! 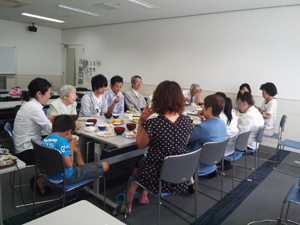 After the sunday main service, we had lunch yesterday. We had a nice meal with special cake and coffee. Thank you God that give us Peaceful and Blessing time. 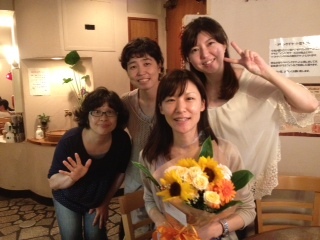 Gave a welcome and farewell party for Sis.I go to Tokyo's in July. And salads, and pasta make a professional on the spot. . . .
Then three teams each sang two songs increments. Welcome and farewell party was great fun. 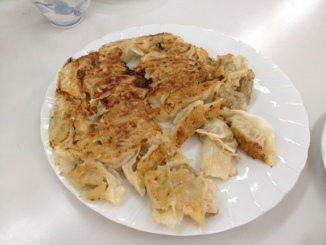 At the end of a meal, cake of big size appeared and children were surprised at it. 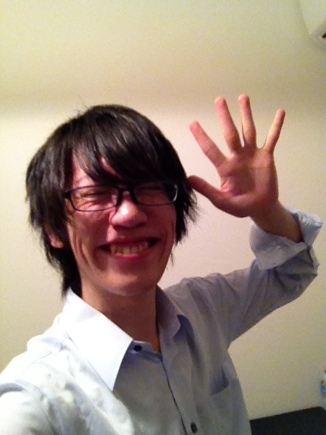 Hallelujah(^O^)／ I have been Otsu today. 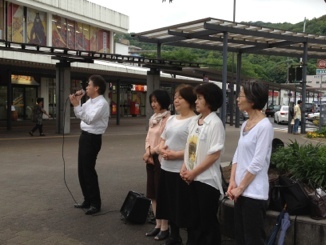 The concert was held with the member of Splendor at the station front. 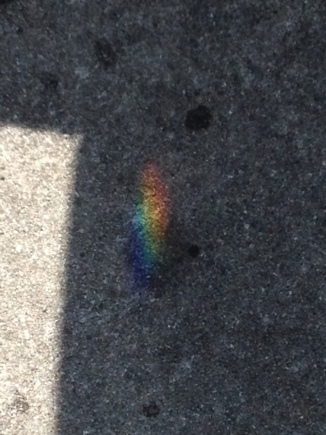 The rainbow was seen in large numbers in Shiga prefecture last year. 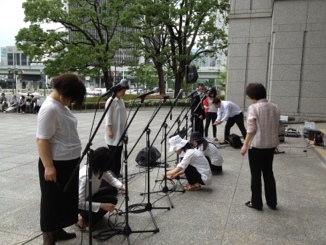 Work of big God starts in Shiga. 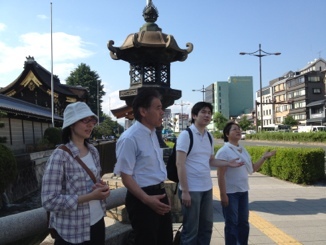 In fact, it appealed for praise also in front of the temple in Kyoto this week! A square tomato the other day! 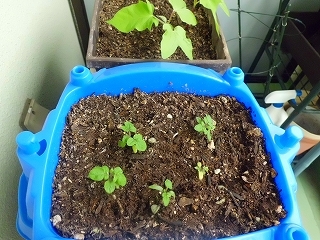 There is a tomato cultivated into the second. 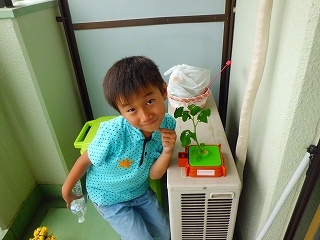 The tomato is giving water and manure.Although it has not withered,even if it grows up,it is not. Of course,the prayer is not carried out. A mother also prays every day after this. Also for a praise convention and a tomato. 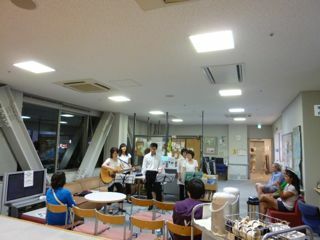 Tonight, Splendor gospel lesson was held at Kyoto. 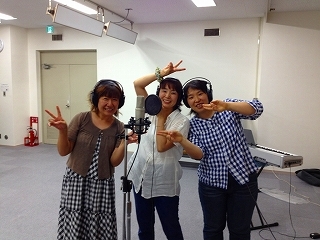 We've taken lessons very seriously, because we're going to "All Japan Gospel Group Final Contest" at Hakuba, next month! Don't blame him cause he's busy body. I went to the prayer meeting tonight. 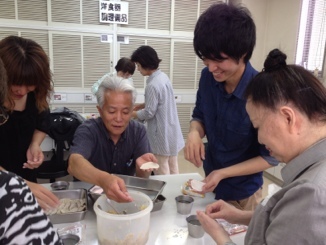 that I checked the mission trip blog easily during took a train. I am mac user now by God. Hallelujah! Pray for the mission trip to Thailand and Cambodia! 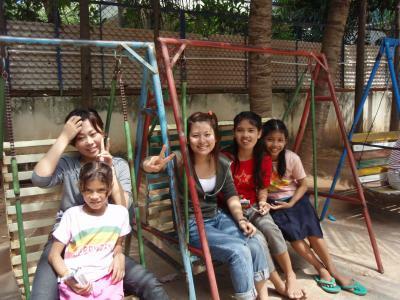 Now,the mission trip to Thailand and Cambodia have been sent from our church. 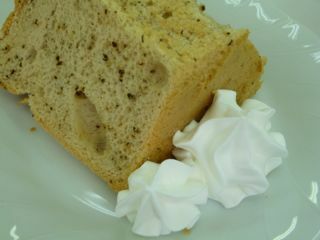 This is a piece of earl grey chiffon cake. I ate it at church yesterday. You envy me, right? 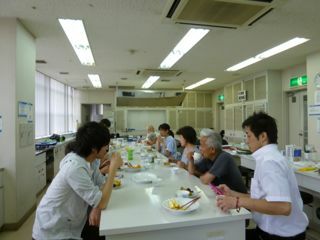 There was five persons' birthday Party today. All were eaten a lot inside. （Sorry. I'd forgotten to take a photo. 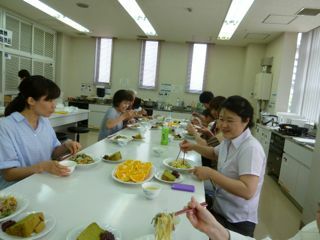 The potluck party was held after dominical day worship service today. We celebrate the birthday of people in May and June. 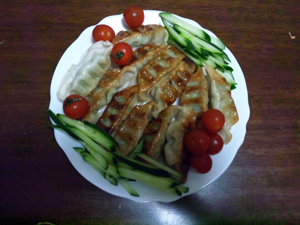 The main dish, 210 chinese meat and vegetable dumplings were made. We ate almost all of them. Although the newcomer for afternoon worship, possibly the room was full of the smell of chinese meat and vegetable dumplings. When the potluck party, so there is more luggage. Carry bag for the trip has been useful! 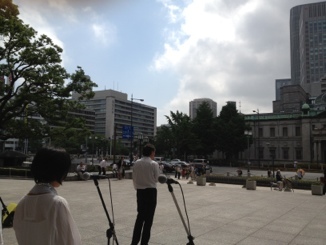 There was a concert of Splendor in front of Osaka City Office today. In the wonderful concert,it rose very much. 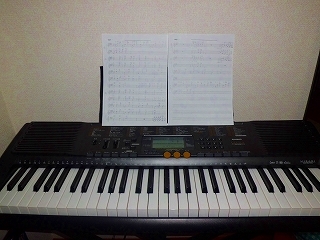 I am practicing piano toward the praise convention in HAKUBA perfomed in July. 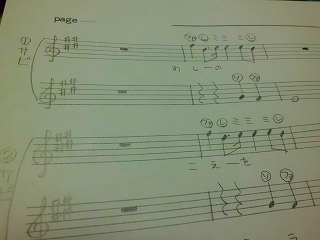 Then a special score appears. This is a bad method.However,I understand well. But I grew,thanks to this score. My guitar has wear and tear, it's hard to get in tune. How surprize my wife gifted me NEW guitar for birthday gifts. 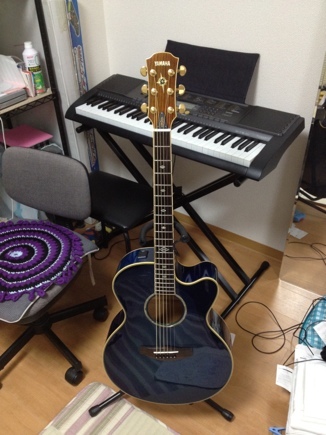 I will play with this new guitar on next sunday service! I join the prayer meeting today. I usually go to the prayer meeting on time. Because, the meeting place is member's home. However,I forgot my watch and my portable phone, too. How can I check the time? 時計があるの見えます？Can you see a clock? 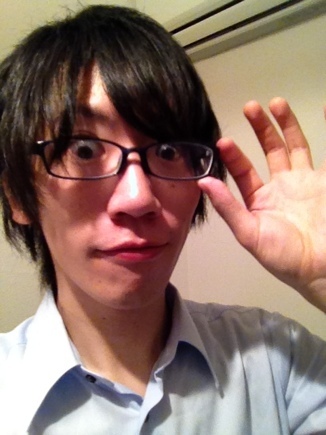 時間があるので、そこにいこう。　I have a time, so I visit there. 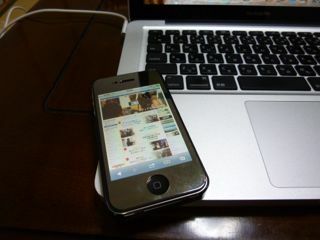 便利ですね。　It's convenience, isn't it? 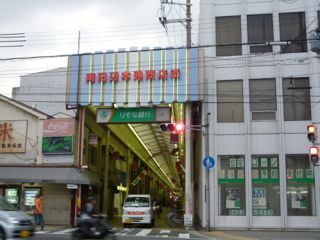 時間ちょうどに行けました。　I went there on time! 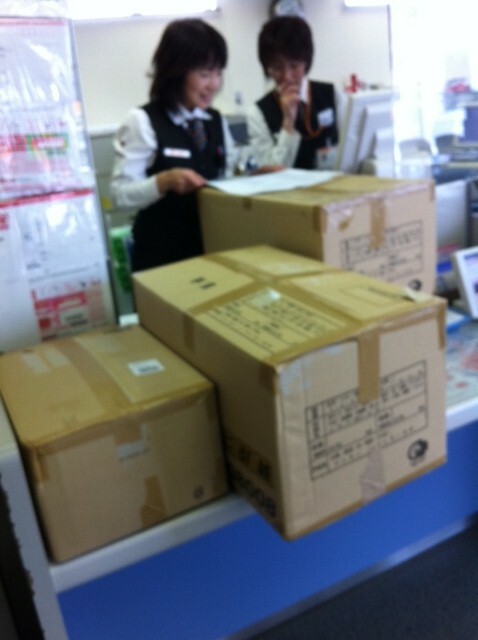 Coworker of myworkplace corrected child-wears etc and sent the present to the Zamiba　orphanage! I appreciate for their help. the post office was also excitement about where is "Zambia". 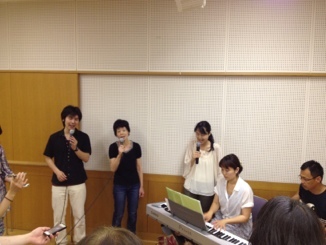 Osaka J-Gospel Club concerts' photos last Saturday. 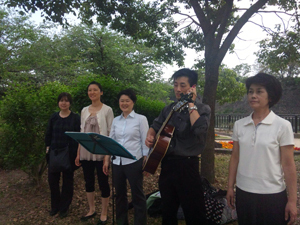 3rd June, We did the live on the street in a nearby O-Castle park. 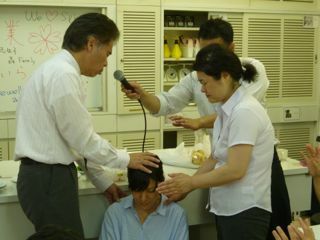 Today, we praised the Lord happily with brother T.
Oh, oh, he has got the telephone call. The telephone was from his wife. 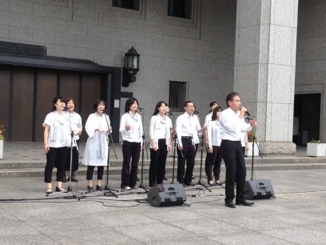 It is Suita and Shin-Osaka and there was a concert of the Osaka J gospel club today. 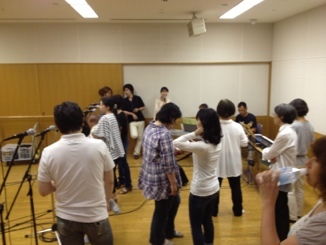 And there was also practice of a gospel club. 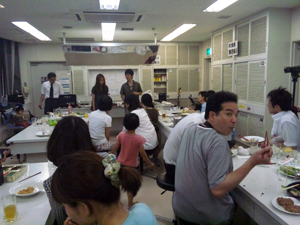 One person of inspection came. 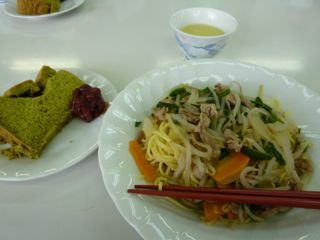 copyright © 2012 シオンの山大阪教会 all rights reserved.